In March 2015, Sindhu was awarded India’s fourth highest civilian honour, the Padma Shri. Olympic silver medallist shuttler P V Sindhu has been recommended for the prestigious Padma Bhushan, country’s third highest civilian award, by the Sports Ministry here on Monday. “Yes, we have recommended Sindhu for Padma Bhushan,” a Sports Ministry official said. A two-time bronze medallist at World Championship, Sindhu has been simply unstoppable ever since becoming the first Indian to win a silver at Rio Games in 2016. The 22-year-old from Hyderabad clinched the 2016 China Open Super Series Premier, India Open Super Series, bagged a historic silver at the Glasgow World Championship last month before laying claim to her third Super Series title at Korea Open in September. 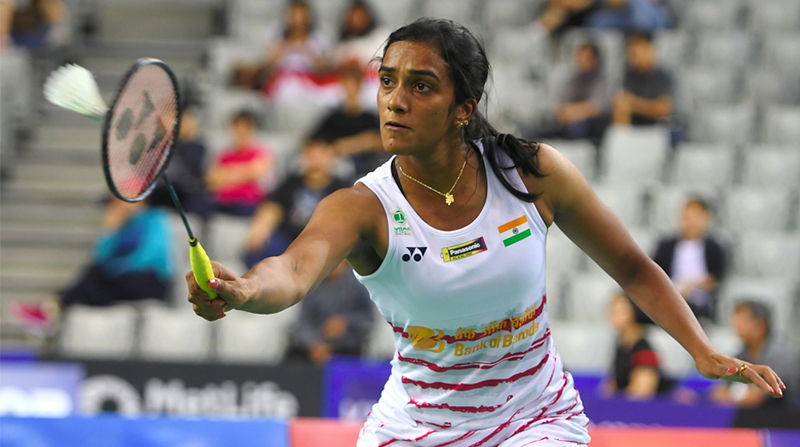 A three-time Macau Open champion, Sindhu also won the Syed Modi Grand Prix Gold in Lucknow this year. Riding on a series of good performances, Sindhu achieved a career-best world ranking of No.2 in April for a brief period. Last week, she climbed back to her No.2 position, following a good week at Seoul. In 2014, Sindhu won four bronze medals at the Commonwealth Games, Incheon Asian Games, Uber Cup and Asia Championship.